Rihanna was spotted out and about New York City on December 8. Photographers caught her and her assistant Jennifer Rosales looking very cold outside of a hotel in New York City. Rih bundled up in one of her own designs. Check it out! She rocked a faux fur hooded jacket from the Fenty x Puma Fall/Winter 2017 collection [Look 43]. 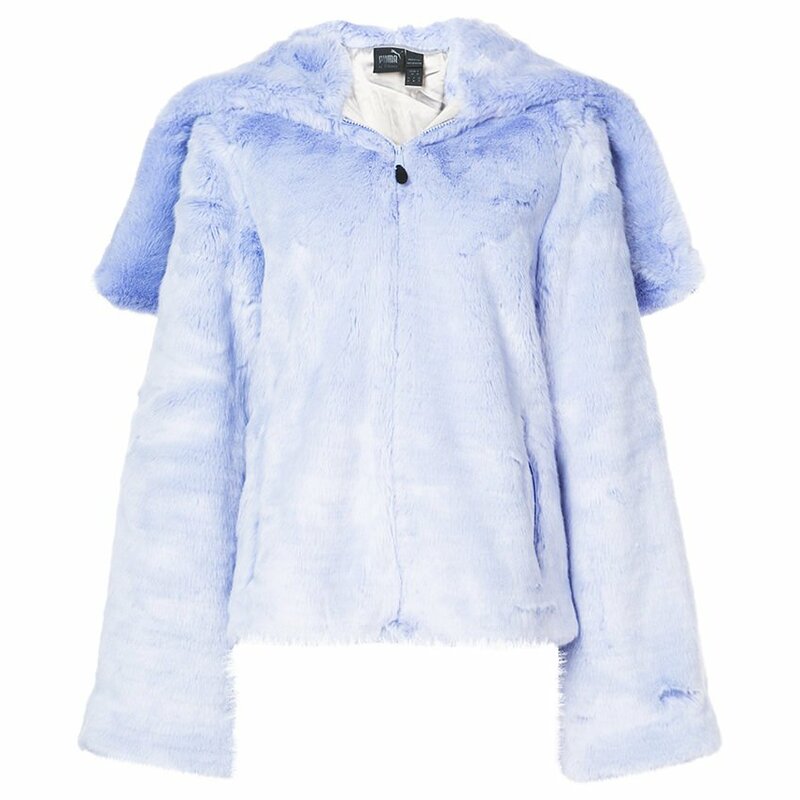 The Easter egg blue jacket, which tends to look purple depending on the light, has a zip front closure and a zipped hood. Unzip the hood to wear it as a sailor collar and reveal the dark blue “F” logo inside. Purchase from Farfetch or Puma for $500. 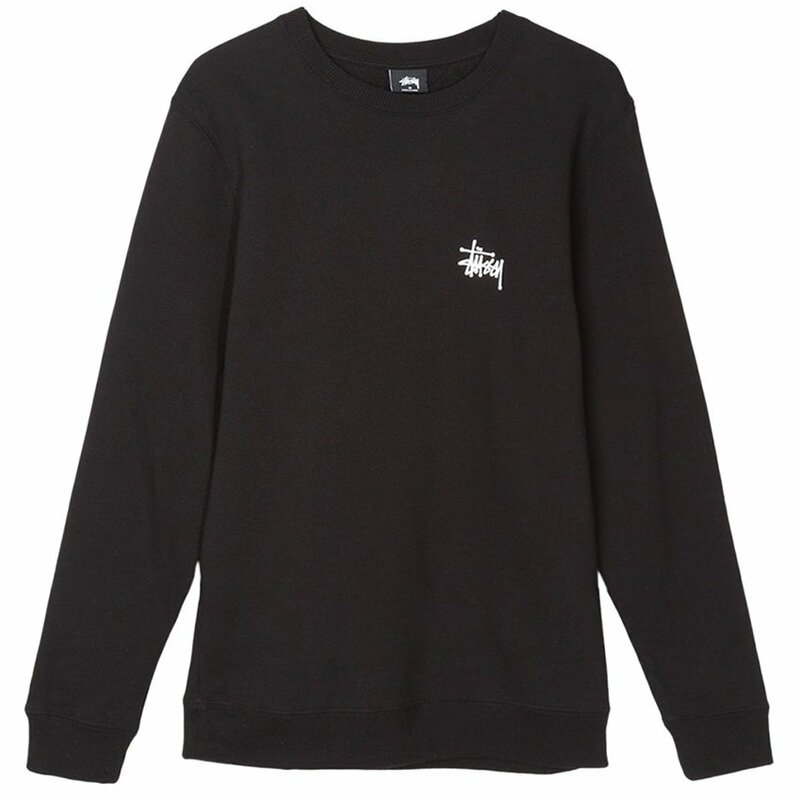 Under that she wore a grey Stüssy sweatshirt (similar pictured above). Her version has the same logo on the chest in addition to signs of distressing all over. I hunted forever for these ankle boots by Kendall Miles. This is the first time we’ve seen Rihanna in this designer as far as I know. These boots are called the Pout and come in three colours – bone, olive and black. The calf skin shoes come with a detachable strap-on pocket and boast gold hardware. Purchase from the designer’s website for $1,300. And Rih also posted a close up pic on Instagram to show off her lipstick. 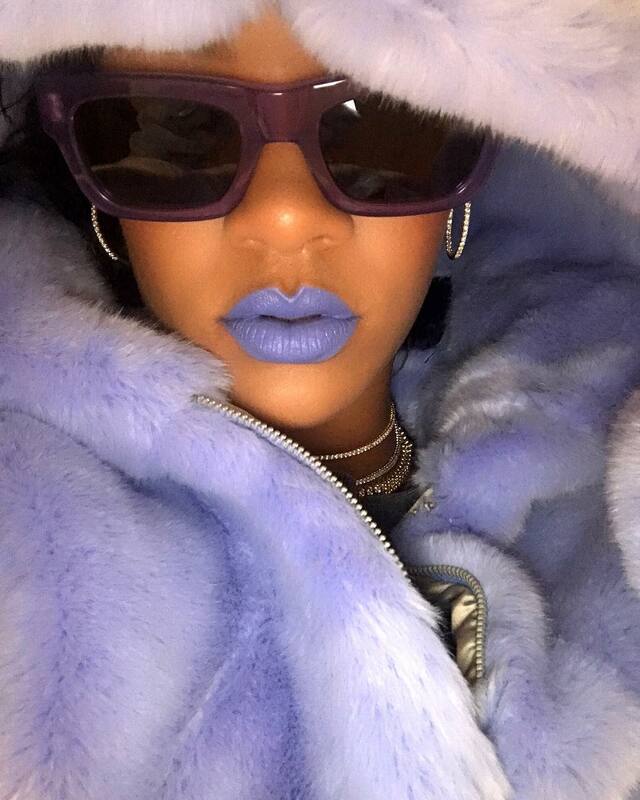 She’s been posting hints about a new Fenty Beauty lip product and it is highly likely that this is one of the colours. Fenty Beauty has yet to release any info on a launch date but follow the brand on Instagram for future updates.